If you haven’t noticed, the markets are seeing a lot of red lately. Like a lot. And if there’s one thing I’m conditioned to believe, it’s that the time to buy is when investors are fearful. I’d always rather buy great companies at a lower price. So naturally, I have sought out some of the best value opportunities. I don’t usually do this, but I’ll provide a watch list of all the companies I wouldn’t be surprised to add to in the next several months (although it’s very unlikely I add to all or even most). This is one company I’ve toyed with buying for awhile now. It is now trading 5% below the price I bought it at two years ago, despite operating income and dividends per share increasing approximately 20%, and revenue and earnings per share increasing approximately 25% in that time frame. Further, as I’ve discussed many times before, they also made a transformational acquisition during that time, adding an agricultural division to their preexisting industrial segment. I’ve laboured the details so many times before that I won’t bother again, but last time I concluded that Linamar is likely to be a great opportunity at these prices, but there are likely better companies for your portfolio, such as Constellation Software (CSU). And that truly is my gold standard. If I don’t think a company can achieve similar returns at a similar risk level to CSU, it is not a worthwhile investment for me. That’s not to mention that NAFTA (or should I say USCMA) has since been resolved. 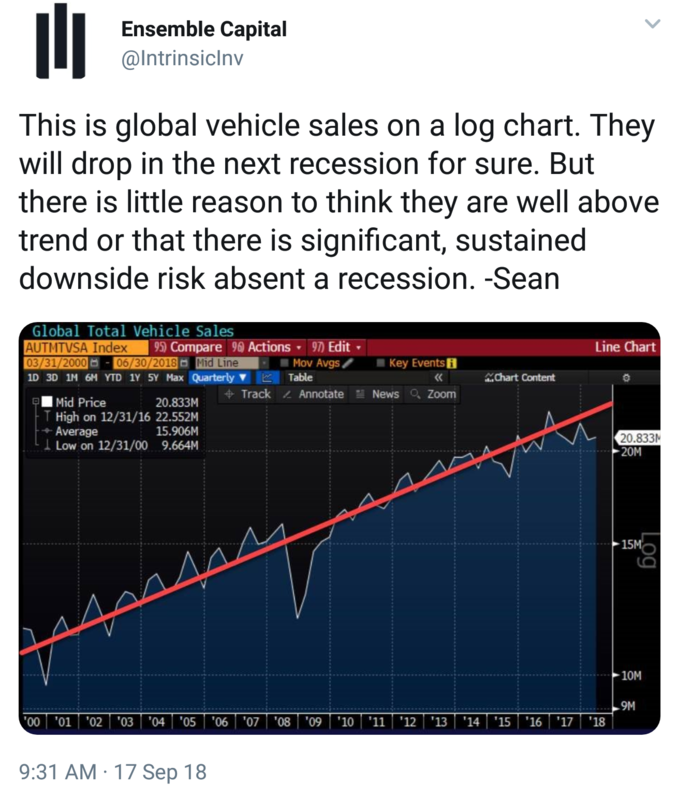 I personally don’t think an economic recession is imminent, but even if it was, auto sales have proven to recover quite quickly. Further, auto sales last quarter only comprised 70% of total sales for Linamar. Regardless, they are just too cheap at these levels to not buy. Last quarter their earnings grew 21%, driven by their acquisition. At a price of 10x their trailing earnings, LNR would be trading at about $90. There is reason to believe that the company warrants an even higher multiple because they are no longer a pure auto manufacturer. UPDATE: During the time it took me to write this email, NTE has released it’s Q3 results, almost right before I send this off. Unfortunately, I don’t have the time to update my email with these. After a brief glance, the primary information worth noting is that revenue recognition has been pushed further out. But take a look for yourself! This is probably the first company I’ve discovered on Reddit and actually been impressed with. Not unlike past discoveries though, it took probably three times for me to finally give it real consideration. My hesitancy? 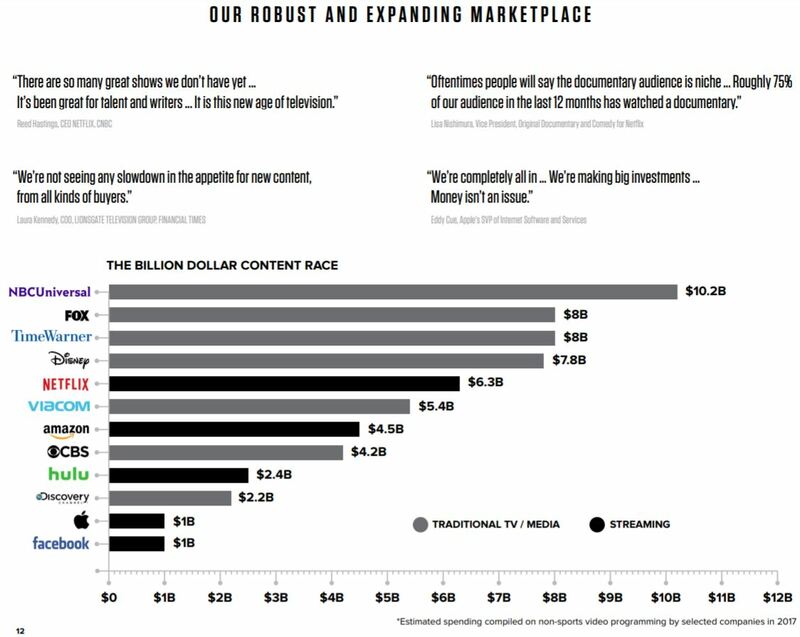 Media companies don’t make money. (See: DHX Media). The truth? Network Media Group is profitable (and has a strong balance sheet). And once I actually dove in, I became quite excited. Right off the bat, Network Media is an industry I want to be in. If you’ve read the news, you may have noticed that “original content” is all the rave lately. It’s not just Netflix. Amazon, Facebook, Apple, Disney, Youtube (discussed below), and most recently Snapchat are just some of the big names paying big money for content. Companies are fighting for our eyes and our time. With all this competition, there’s been an enormous premium placed on original content and their creators. If there was ever a time to invest in content creation, this would be it. The content creation business is novel to me. I learned quite a bit reading about NTE. There’s a few things that stood out. One is that there is a recurring revenue aspect of their business, albeit small; royalties have comprised anywhere from 2.5% to 10% of NTE’s total revenues historically. Depending on the agreement, NTE is paid a royalty when their content is shown. I would expect these royalties to accumulate over time. Secondly, being a Canadian media producer, NTE benefits from Canadian tax credits. Thirdly, once NTE is selected for a project, they contract most of the workers to produce a show. Buyers (broadcasters and distributors) agree on a price up front. This ensures that NTE is paid more than the costs incurred by a film. Thus, I would consider them a capital-light business. The above reasons have contributed to NTE’s profitability. I encourage you explore the rest of the presentation to better understand the company. A brief look at NTE’s most recent quarter results, and one is likely to leave dismayed. For the first six months of this year, NTE has recorded $935k in revenue compared with $4.2M in the same period last year. Yikes. “The performance (or period to period earnings comparisons) of small entertainment companies like Network can often be difficult. As such, the Company feels it is necessary to provide some additional information so that a meaningful assessment of the Company’s potential future financial performance and earnings may be made. So within the next year, an investor can expect $17.9M in revenue. That’s much more encouraging. “The second quarter of Fiscal 2018 saw the Company continue to expand its slate of projects with its release of I Am Martin Luther King Jr. as well as its continued work on the Hockey Hall of Fame’s Stanley’s Game Seven. The Company also continued production on four additional I Am projects, which were green-lit during the prior quarter. 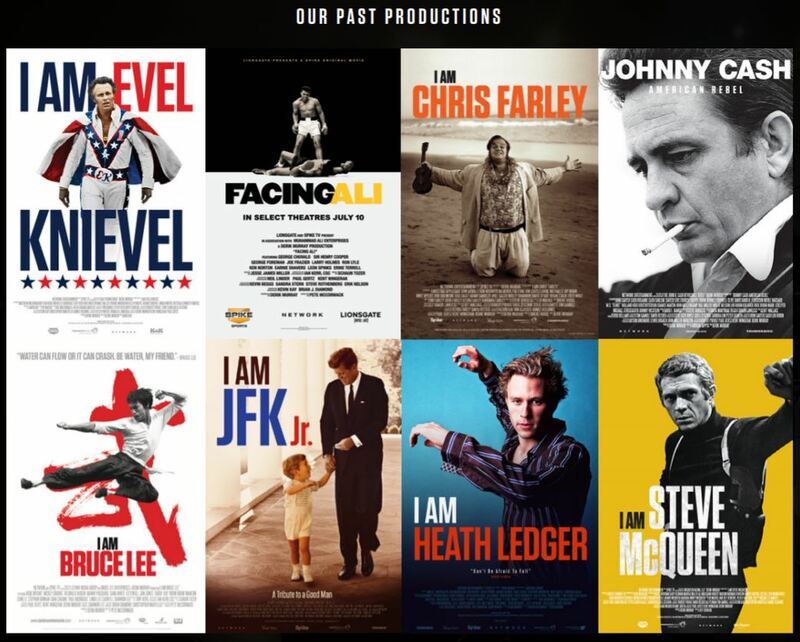 The first of these projects which will premiere August 11, 2018 on Paramount Networks is I Am Paul Walker. As well, the Company has also commenced production on an 8-part global series on artificial intelligence that will be executive produced by Team Downey partners Robert Downey Jr. and Susan Downey, Network Entertainment’s Derik Murray and Paul Gertz, and Sonar Entertainment’s Jenna Santoianni and Tom Lesinski. The series will feature the brightest minds in science, philosophy, technology, engineering, medicine, futurism, entertainment and the arts to tell the dynamic story of A.I. The 8-episode hour-long series will debut exclusively on YouTube Red in 2019 and is the Company’s largest project in its history. So, here I will attempt to value NTE. Based on their historical numbers, I will conservatively estimate a 10% EBITDA margin, resulting in an estimated $1.8M in EBITDA over the next 12 months. I will also assume that NTE increases their shares from 72M to 100M over the next year. Now, until this year, they hardly raised equity at all over the last several years, which indicates to me that there is a lot of work taking place. But regardless, their shares went from approximately 55M to 72M this past year. I will assume by the end of the year they will have a net debt balance (cash minus debt) of 0. Right now they have about a $4M surplus in cash. So at $0.13 per share, NTE would have a market cap (and enterprise value with my assumptions) of about $13M by the end of next year, which would be 7.2x EBITDA. Is this reasonable? Considering the size of the company, I guess so. But I think there is potential for the company to be valued much higher. If they were to increase to 10x EBITDA, that would be a 38% premium. Given my conservative estimates, I am comfortable with this price. Regardless, I really like the business model and the industry that they’re in, so I’m willing to hold. Unfortunately, the capital to fund my Linamar and NTE investments had to come from another holding. Namely, I sadly sold my remaining Emera (EMA) position. While I still think Emera is vastly undervalued on a cash flow basis, it is a slow-growth company, and the rising interest rate environment certainly will be a headwind. I almost added more to FCF instead which I believe will benefit from rising interest rates (homeowners will seek brokers for lower mortgage rates), but LNR is too cheap to pass up and NTE is just a company I really want to own. FCF also just entered into a transformational agreement to acquire the remainder of Dominion Lending, who they previously owned 60% of. I quite like Dominion, but there was a lot of share dilution, which hurts FCF’s value in the short term. I would like to wait a couple quarters to see if the share dilution is justified by cash flow growth. The transaction occurred at 7.5x EBITDA which seems reasonable considering the 17% CAGR Dominion has experienced the last couple years. But share dilution is never enjoyable. Management did confirm to me that “growing per share metrics, including free cash flow, will continue to be a priority for FCF.” I can trust this is true given the large stake management has in the company (by my calculations, according to SEDI, 60% before this acquisition). Further, I am also selling my Lassonde position for a company called Dynacor Gold (DNG). I hope to send an email on gold companies shortly. Lastly, the American portfolio has received an influx of capital which has been allocated to Nvidia (wow) and Palo Alto Networks (PANW). Nvidia, having an exceptional return on capital and some heavy tailwinds in its industry, is now the second-largest holding in the US portfolio. I also hope to send an email on cybersecurity companies shortly, but I will note that Keystone Financial highlighted Fortinet rather than Palo Alto in their seminar. I will compare the two in that email, but in the meantime, use that info as you wish. As always, if you have any comments, questions or otherwise, shoot me an email at anytime and I’d love to have a discussion!